Morus is a genus of flowering plants in the family Moraceae. It is an important cultivated plant which has long attracted the attention of biologists interested in sericulture. The silk industry depends on the domesticated silkworm, Bombyx mori that feeds on the leaves of mulberry tree. 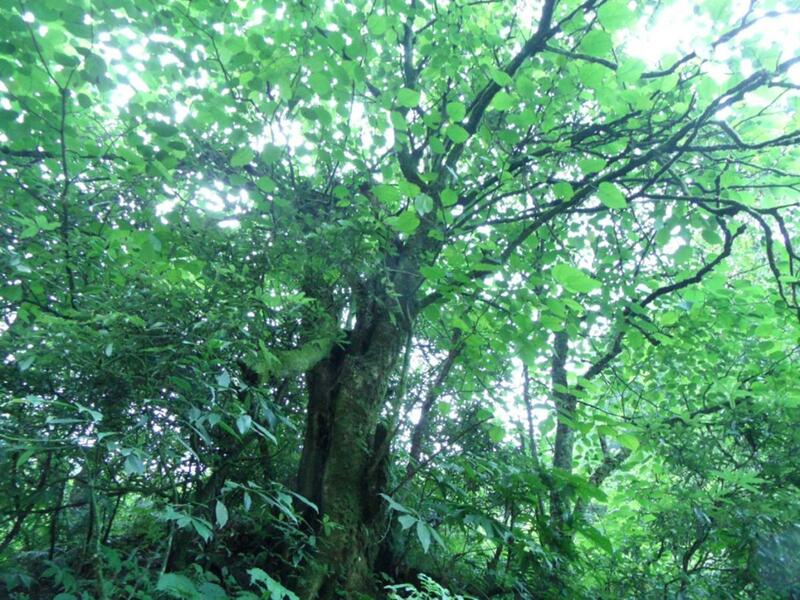 Over 150 mulberry species names have been registered. Among them, one species, Morus notabilis C.K. Schneid. (http://www.efloras.org/\florataxon.aspx?flora_id=2&taxon_id=242333082), was first recorded by Schneide in 1916 and became well known as a naturally available haploid mulberry species from cytological and morphological studies in the 1980s. This species was first discovered in Sichuan province, southwest of China, and hence named as “chuansang”. Chuansang offers us an excellent opportunity to elucidate gene structuresof Morus and opens up a possibility of assembling the genomes of related species. Chuansang has a chromosome number of 14 based on the cytological studies in the 1980s. After several scientific field investigations, we relocated it in a pristine forest around Yaan, Sichuan province, southwest of China. 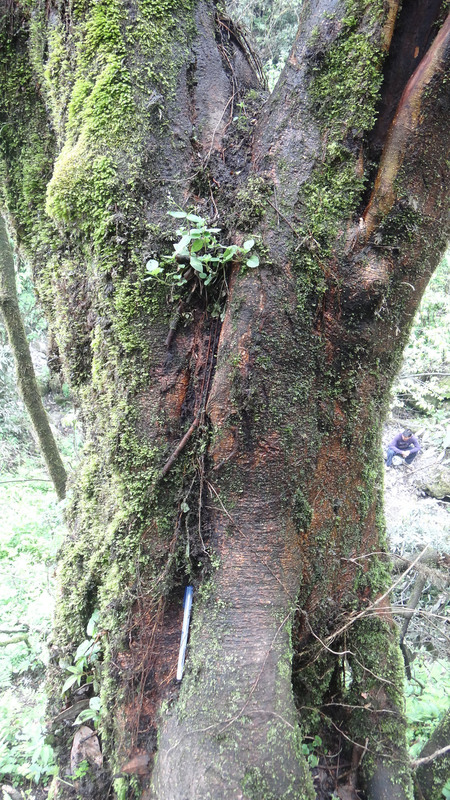 Chuansang has grayish brown bark, 9-15 m tall. The leaves of M. notabilis are orbicular with triangular serrate. It is a dioecious tree. Its male flower is paired, 4-5 cm long. 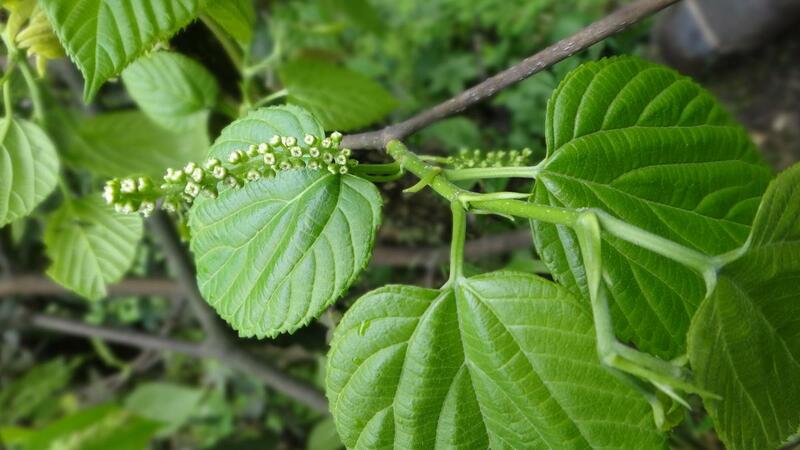 As a wild species with a minimal chromosome number, the M. notabilis was used for mulberry genome sequencing. The genome data can be downloaded via Download Datasets. 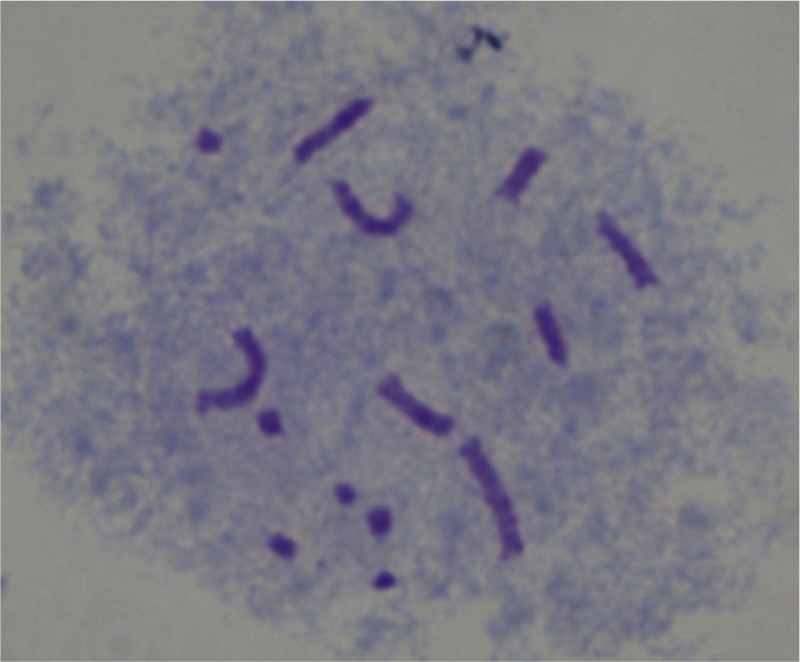 Cytological detection of Morus notabilis chromosomes (He et al, 2013). He N., Zhang C., Qi X., et al. 2013. Draft Genome Sequence of the Mulberry Tree Morus notabilis. Nat Commun, 4:2445.